Please complete the form below and your enquiry will be sent directly to Goodwill Mountain Farm via email. Your enquiry has been sent to Goodwill Mountain Farm. 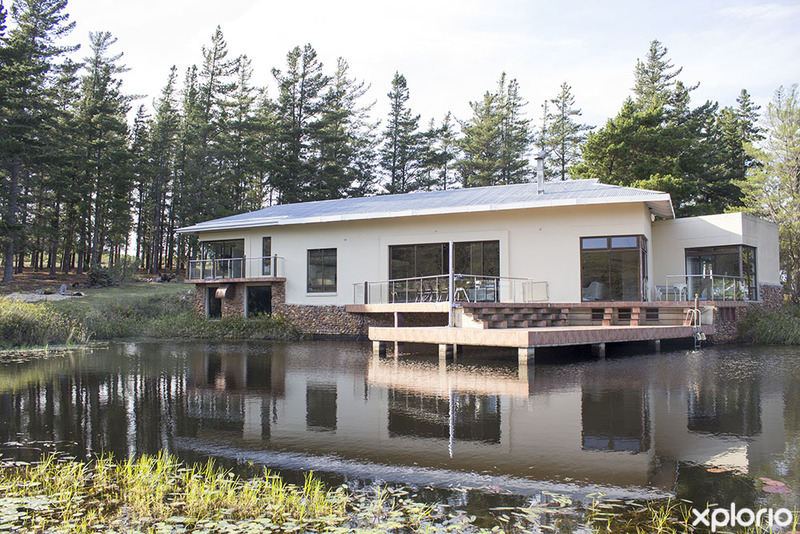 Goodwill Mountain Farm is situated on the slopes of the Klein River Mountain Range in the Stanford Valley. This guest farm is a permaculture project in progress and the owners aim to eventually be totally self-sufficient and live off the grid. Lovers of holistic living can indulge in an unlimited supply of fresh country air and an untouched countryside, just waiting to be explored. 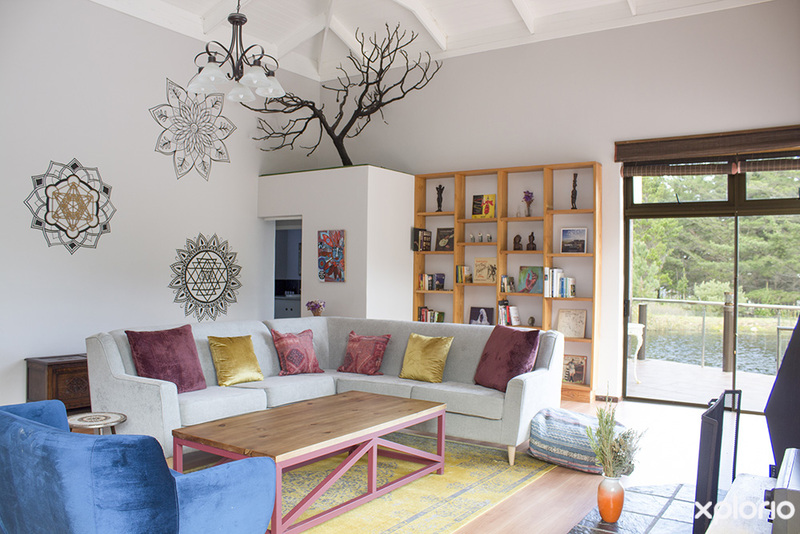 There is a choice of two self-catering cottages and a Villa, just perfect for family getaways, small groups of friends or those seeking solace in a spiritual retreat. 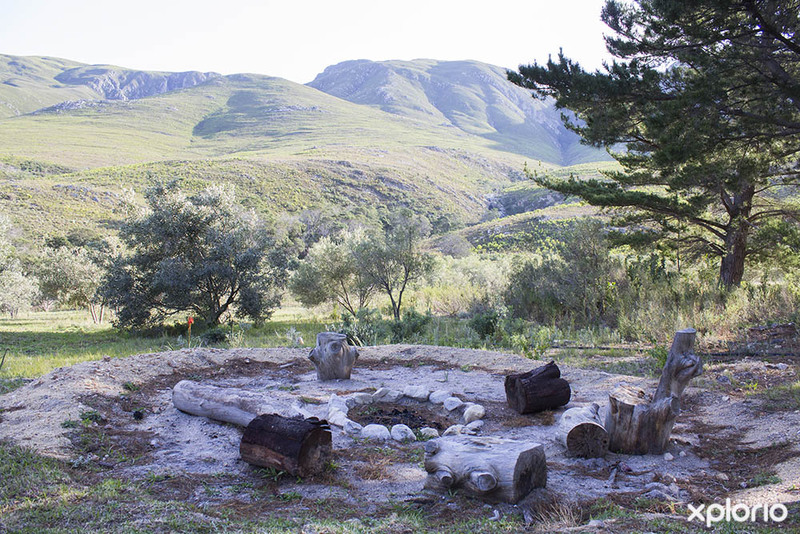 Sport and nature lovers will be spoiled for choice when selecting outdoor activities on the farm and in the surrounding area that is perfect for hiking, horse riding, mountain biking and trail running. 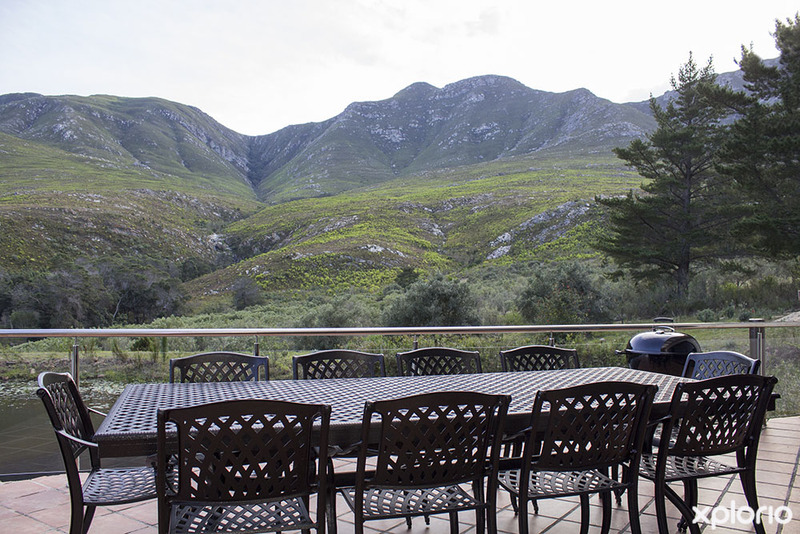 Goodwill Mountain Farm is close to some of the best wine estates and restaurants in the Overberg. Pine and Oak Cottages sleep a total of ten people while The Villa can sleep 10. Pets are welcome on request. Click on ‘More Info’ below to find out more about Goodwill Mountain Farm. Permaculture is the philosophy of working with, rather than against nature...of protracted and thoughtful observation, rather than protracted and thoughtless labour. 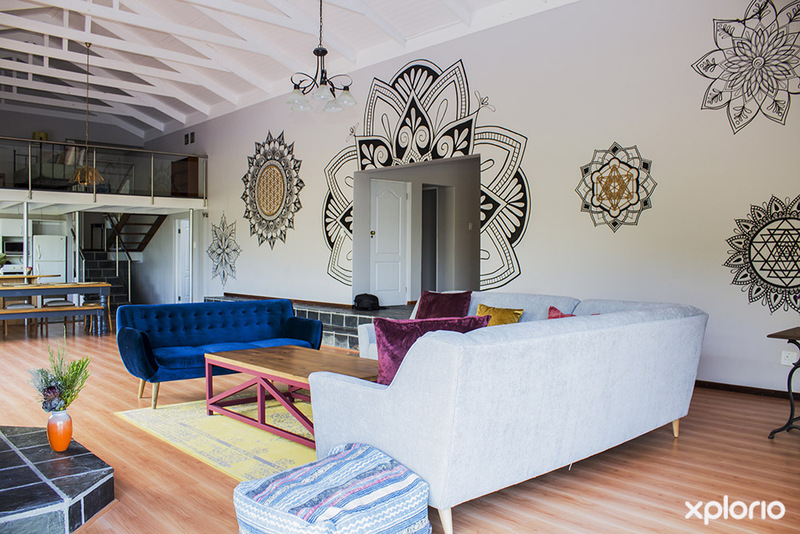 The Villa is a new addition to Goodwill Mountain Farm and has been refurbished in such a way that it totally blends in with the landscape allowing you to fully experience your natural surroundings at their best. 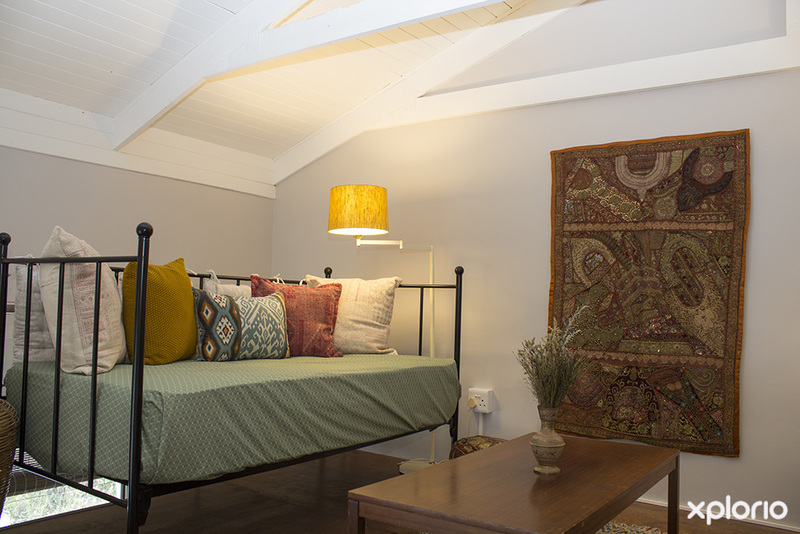 Oak and Pine Cottages are original farm labourer’s quarters that have been lovingly restored and refurbished to create a unique and laid back living experience. 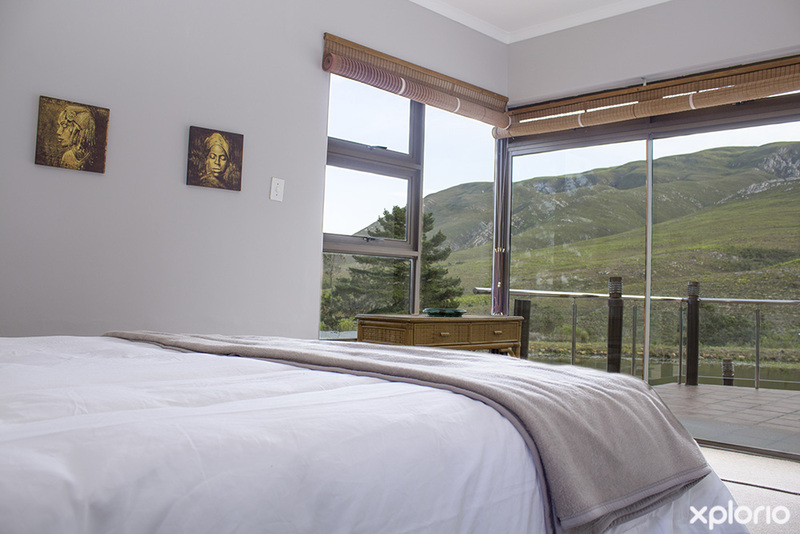 The Villa is a four bedroom, self-catering house built next to a tranquil dam that skirts the most awe inspiring view of the mountains. Artworks by local artists and furniture pieces that are family heirlooms, add to the authentic feel of this luxurious home. 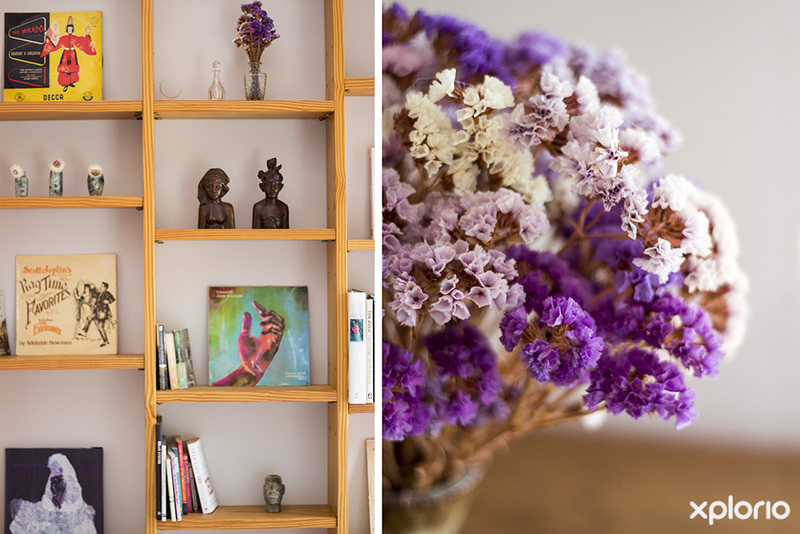 The Villa offers free WiFi and a complimentary range of eco-friendly toiletries. The spacious lounge has huge picture windows that look out onto the shaded veranda. 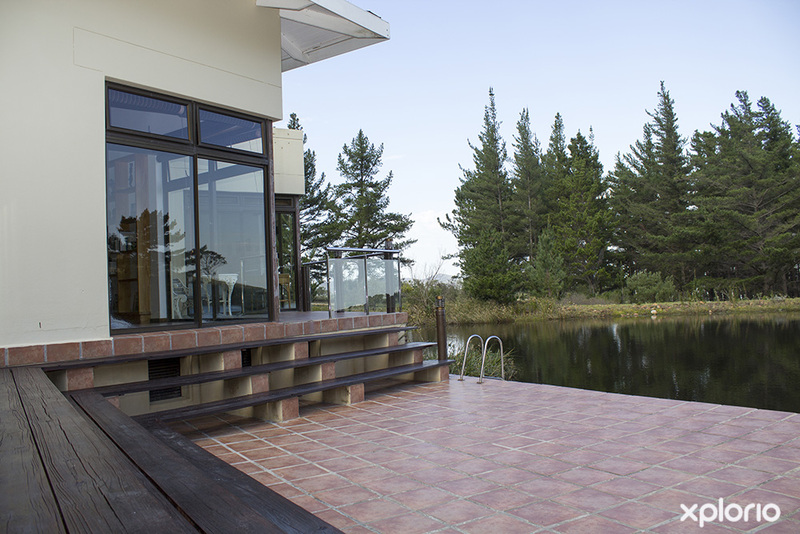 There is an outdoor braai area and the veranda offers easy access for those water babies who want to take a dip in the dam’s refreshing waters. The kitchen is fully equipped with all the necessary appliances and there is a separate scullery with the convenience of an additional gas stove and refrigerator. This is the master bedroom and has a King-size bed that can be separated to make two single beds. The ensuite bathroom has a bath, shower, basin and toilet. 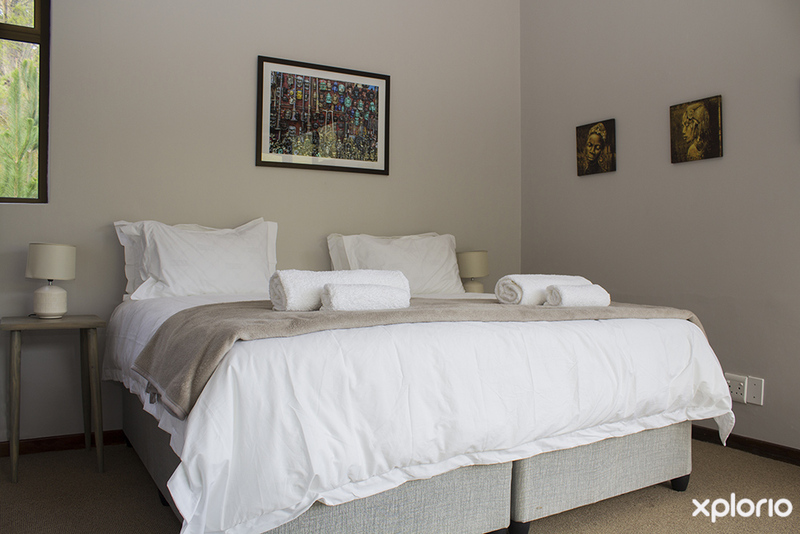 This room has a King-size bed that can be separated to make two single beds. The bathroom is adjacent to the room and has a shower, a basin and a toilet. This room has its own private veranda. There is a King-size bed that can be separated to make two single beds. Water shares a bathroom with Air, and it has a shower, a basin and a toilet. This room has a King-size bed that can be separated to make two single beds. Air shares a bathroom with Water, and it has a shower, a basin and a toilet. 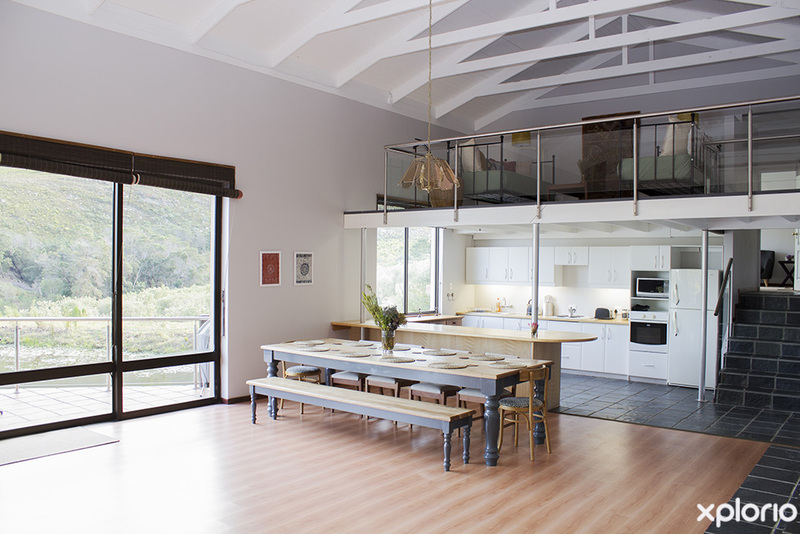 This large three-bedroom self-catering cottage has a full length veranda which boasts breathtaking views of the Stanford Valley. There is a fully equipped, open-plan kitchen and lounge with a fireplace. 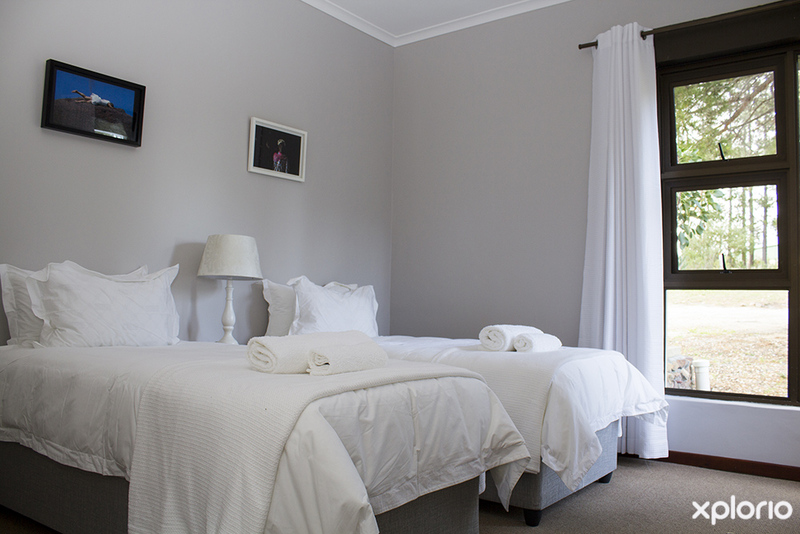 The master bedroom has an ensuite bathroom with a bathtub, shower, basin and toilet. There are two separate bedrooms that share a guest bathroom that has a shower, basin and toilet. 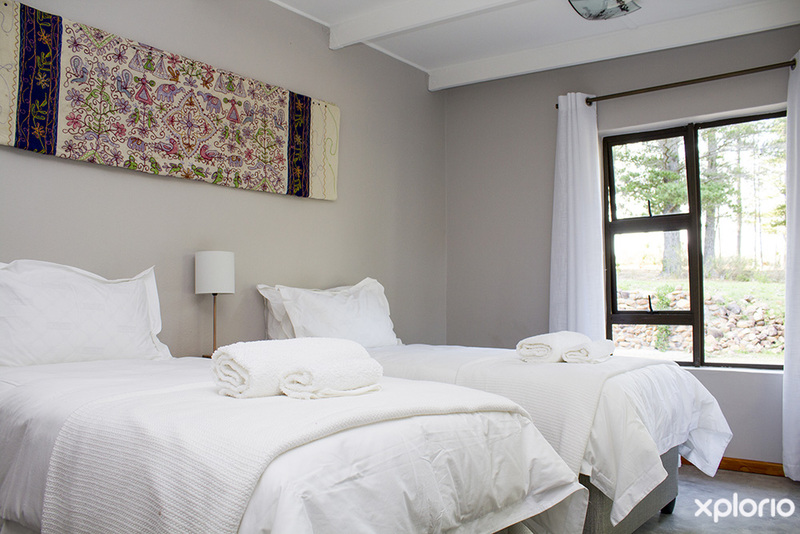 This spacious two bedroom self-catering cottage has a full-length veranda that overlooks a grassy nook which is lined by pine trees. Pine Cottage is fenced-in, making it ideal for your four-legged family members. 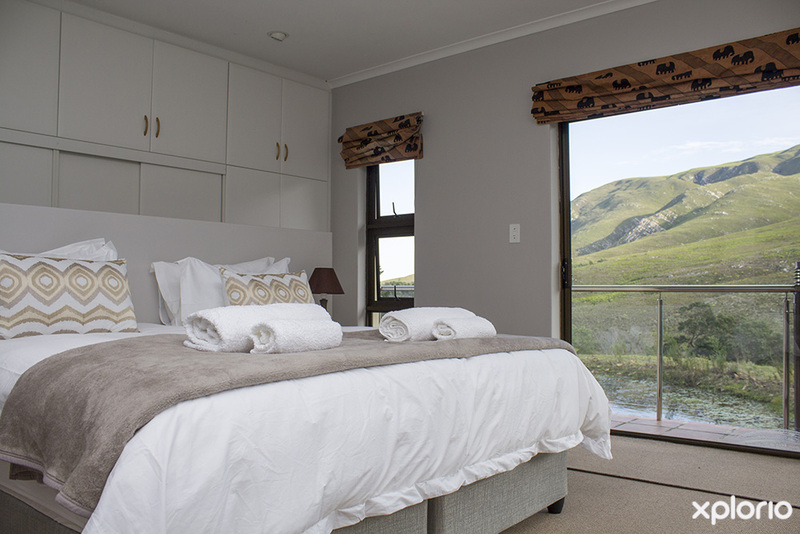 The bedrooms each have an ensuite bathroom with a bathtub, shower, basin and toilet. Your hosts encourage you to embrace nature on your stay at Goodwill Mountain Farm. Ease into the day with yoga poses and asana as you join your host Bodhi for a yoga class offered by prior arrangement. 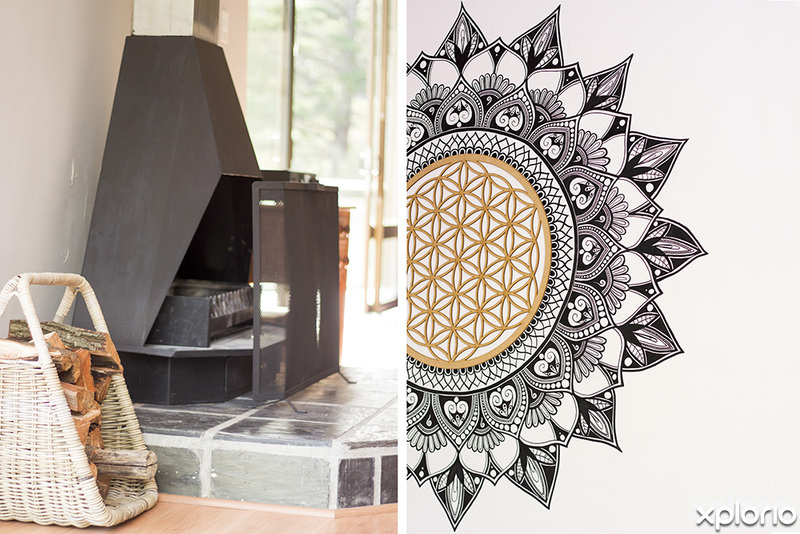 Bodhi, who is a certified yogi, knows the best way to take loving care of a hard-working body and overactive mind. One of the best ways to explore Goodwill Mountain and the surrounding Stanford Valley is on horseback. Outrides can be arranged with African Horse Company whose beautiful horses live on Goodwill Mountain Farm. Some of the most scenic trails can be found on Goodwill Mountain Farm and trail runners of all experience levels will find a path that will lead them through visual joy. Just you and your mountain bike riding away from your city stresses as you discover new and exciting MTB trails in the Stanford Valley. BYOB (Bring your own bike). Conquer Goodwill Mountain and discover some of the many surprises that await you on your hike through the Cape Floral Kingdom. The slopes of the mountain present natural treasures such as a waterfall that is just waiting to be discovered. Stanford is known as a bird watcher's paradise so pack your binoculars and birding guide and see just how many feathered friends you can identify. 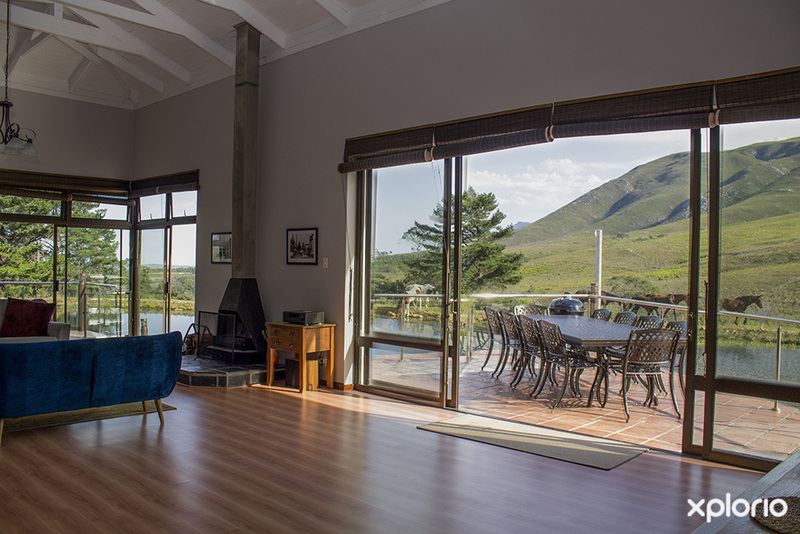 Some of the Overberg’s finest wine estates are to be found in and around Stanford…two of which are conveniently situated within crawling distance to Goodwill Mountain Farm. Your hosts Rishi and Bodhi invite you to join them as volunteers on pre-arranged permaculture and conservation projects on the farm. Cancellation policy available on request.